We know how important parental leave is and how vital it is to spend as much time as possible with your new family addition. 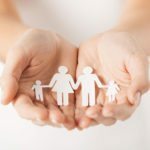 We are a family orientated team and we want to make sure you have all the information you need regarding parental leave. Most people know about paid parental leave as an employee but what are the rules around leave for a self-employed person? “Paid Parental Leave” is an eighteen-week government-funded entitlement that enables a self-employed person to take paid leave when they are having a baby or adopting a child under 6 years old. There are certain eligibility criteria that a self-employed person must meet in order to receive this. The paid parental leave entitlement of 18 weeks is administered through Inland Revenue. Want to know more? Give Gayle a call on 07-958-1949 or email gayle@mellowbg.co.nz to get a detailed report on this subject.